East View Map Link (EVML), a certified NOAA and NGA print on demand printer; provides mariners with up-to-date National Oceanic and Atmospheric Administration (NOAA) approved nautical charts. 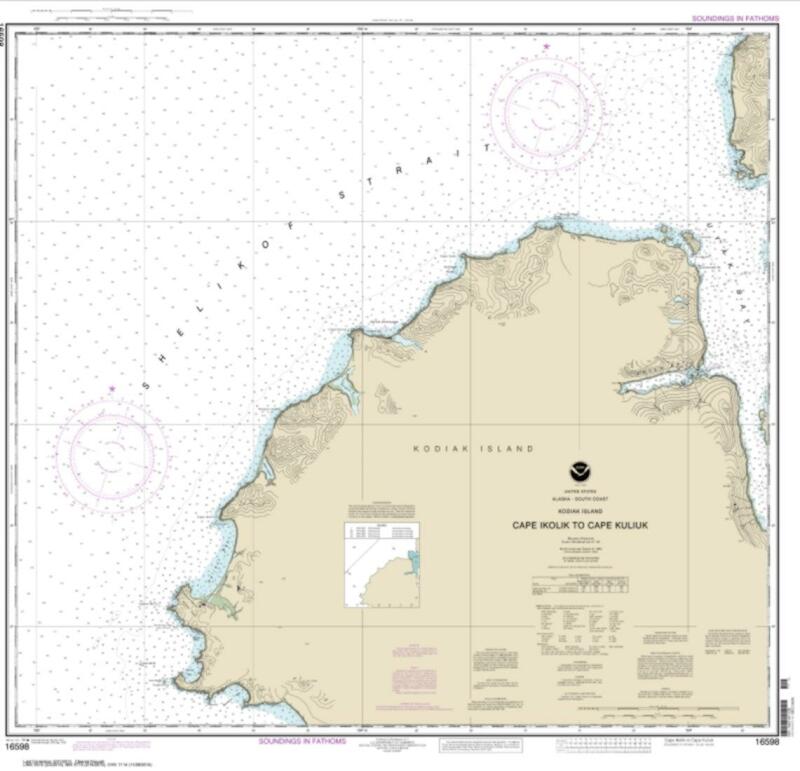 Our Cape Ikolik to Cape Kuliuk nautical chart (Map Index 16598) is printed using high resolution, heavy weight and acid free paper. All charts are printed with the latest Notice to Mariners (NTMs), and meet United States Coast Guard and international carriage requirements for commercial and recreational vessels. Waterproof options are also available. All NOAA nautical charts ship rolled, and are printed by East View Map Link, LLC.